What a pain this week has been! As some of you know I had emergency root canal surgery last week. Turns out my nasty habit of clenching my teeth cracked a tooth in a few places. The root canal was no big deal – I have no fears of the dentist. The dentist told me all would be good by that night and I would be back to normal the next day. He then set off for two weeks holiday……. What followed for me was 10 days of agony! Far from being back to normal, I gradually became worse and, of course, being sick on a public holiday in Australia (Anzac day) is just no fun! I have come out from my prescription med haze every now and again to check out what the real and virtual world is up to though. I can’t say that I’ve been very good at checking my emails though …so If you have emailed me and I haven’t replied you might want to try again, as it may be lost in the inbox overload. When coming out of my haze I’ve also noticed that this week has been a good week for free and paid WordPress Plugins for Internet Marketers (but themes are again on the slow side). Google Adwords Remarketing – If you use Google adwords you probably are also using the remarketing feature. Remarketing allows you to continually show your ads to people who have visited your site before. If you have ever clicked through on an ad …and then everywhere you go on the web you feel you are being followed <del>stalked</del> by that advertiser then you’ve experienced remarketing! The plugin makes it easy for you to copy and paste in your adwords code. Of course, you don’t need a plugin for this, but some people aren’t comfortable with code related stuff so it’s useful to them. GoToWebinar – WP Personal – a lot of businesses and marketers are using webinars to educate their prospects and customers and provide valuable information. You can use this plugin to get users to sign up for registration for your webinar on your WordPress blog (without taking visitors to the usual Go To Webinar sign up page). Think about adding some pre – webinar homework or an offer on your page to test conversions. Diving into this plugin, I discover that what it really does is help non developers/coders create a WordPress plugin. You install the plugin, and then use the interface to design a custom plugin for use on your WordPress blog or sale in the Marketplace. The plugin is very well documented and there is paid support available should you run into difficulties. Opportunites abound with uses for this plugin. If you want to get some ideas of what other users are creating then visit the WPAS Marketplace. Create fully customizable notifications that are sent when custom post types, custom fields, taxonomies, relationships and/or custom comment type records are added, deleted, or simply updated. Another major improvement is the introduction of EMD templating system which, we believe, will fix the issues related to the themes with unorthodox markup. If you use EMD templating system, you need to wrap your attributes, taxonomies and relationships in “emd_is_item_visible() function in a PHP code snippet. If WPAS detects this function’s usage, it auto creates customization tab in the settings. The new templating system allows users to enable, disable, or hide(from frontend only) attributes, taxonomies or relationships without modifying user’s theme template files and comes with EMD Widget area which can be used to display widgets in the generated plugin’s pages. WPAS ProDev owners can enable or disable this feature and switch back to theme based templating system. WPAS 5.3 also auto creates some tools for administrators to improve plugin performance and provides a CSS area (Tools tab of the generated plugin’s settings) where you can write plugin specific code.The CSS code written in this area must be only applicable to and works in plugin pages. Check out eMarket Design YouTube channel for videos and more. Ability to export and import entity configurations is another step forward to improve reusability of plugin data model. You can use this feature, if an entity is used in multiple apps. Instead recreating the same entity configuration and attributes, export entity metadata and import it to the new app, saving yourself some more time on development. We also did some improvements in page load times by displaying app tags in view layouts on demand, included code to improve menu structure in the admin area and more. We hope that this change will help developers get better results in lower end computers or hosting environments. There are other additions, improvements and fixes as well. Please refer to the What’s new tab under Getting Started page for the complete list. The next WPAS version will continue improving WP App Studio plugin, the platform generated code and integrating technologies which can help us make WordPress the preferred application development platform. Campus Directory Pro — fully featured campus directory solution integrating people, publications, places and courses in a very intuitive interface. Designed and developed for higher education institutions. WP Easy Events Pro — All in one solution for event management and ticketing system to organize successful events. Request A Quote Community — sales quote management system for small business owners to receive quote requests from customers. Sell your WP App Studio WordPress plugin designs in SellDev Marketplace. WPAS only loads the required libraries for a particular page. There is no mass linking. Every app view can be customized and optimized for performance. A newbie intro to WordPress development using WP App Studio – introduction to designing your first app using WP App Studio defaults. A newbie intro to WordPress development using WP App Studio – Part III – Gives more details on WPAS apps focusing more on Bulk Import/Export/Reset functionality. How to add a search form to your app – gives an overview of creating search forms using WPAS. How to create a sidebar widget for your apps – explains different types of widgets which can created from WPAS, focusing on sidebar entity widgets. Using standard views for listing content – about enhancing capabilities of “Give me your quote app” we designed in our previous articles by adding a standard view which will list the bidders of in table format. Exam Grade Calculator – a simple exam grade calculator using available WP App Studio statistical functions calculating basic descriptive statistics on submitted exam grades. Text functions – basic text operations using available WP App Studio Text functions. The output of these operations can be used in variety use cases including comparisons, data cleansing etc. Pizza Order– basic pizza order by using multiple functions. Notice that the cost changes dynamically based on the options you select. Conversion Calculator – conversion of a number from one measurement system to another using available WP App Studio Engineering functions. For example, miles to km or gram to pound etc. Trigonometry Calculators – mathematical calculations using available WP App Studio Math and trigonometry functions. Using Analytics module – allows filtering entity attributes, taxonomies and relationships to calculate statistics and displaying the result in any page using a shortcode. ProDev = Commercial tier for plugin development with full functionality. FreeDev = Free tier for plugin development with limited functionality. Exit Page – One More Pageview by Keepify this simple little plugin allows you to add an offer to a page when your visitors are leaving your site. Use it to promote an offer, ask them to subscribe to your list or just rediret to another page on your site. Rather than being an exit pop up it works by generating an overlay over your site. Convert abandoning visitors with targeted offers before they leave. Customize your offers for each page and track conversion. Our plugin allows you to put one final offer or pageview in front of most visitors before they bounce. Our email signup rates went up 50% on one site! the site. It will secure you one last chance to convert visitors with a direct pitch. Print Press – There are a number of WordPress plugins that allow you to print pages/posts of your site or convert them to pdf. This little plugin allows you to filter a number of elements so you generate a nice, neat version of the content. There are only a few plugins worth mentioning this week. This plugin is developed by a well known developer of Internet Marketing style WordPress plugins. Reviews from users have been all positive and the developer has been using feedback to make improvements to the plugin. Some concern has been raised about image attribution and the ability to check the licensing terms of an image before posting. It appears that the developer is taking this feedback on board and is set to release an updated version of the plugin. Some of the features to be added in a future release appear to be option to preview the licensing source (so you can check that it is okay to post with/without attribution) and the ability to add a watermark. Adding a watermark is particularly useful if you use the plugin to create memes for Facebook and Pinterest. No doubt, you’ll want to have a watermark of your site’s url on it to pick up some traffic. At the time of writing the plugin is on launch discount. WP Solo Tracker – allows you to track and monitor all your solo ads in one place. This product is due for release on 14 May 2013 and has an “early bird” sign up. Will be interesting to see the reviews once it is in the wild. Manage WP is having a sale this week where you can get 30% off their service (lifetime discount!). The offer only applies to new users 🙁 I’ve been a Manage WP user for a long time now and love it. Although there are a lot of other services that are cheaper than Manage WP or one time payments the knowledge that Manage WP is a stable, reliable company means that I’m with them for the long haul. 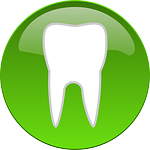 tooth icon courtesy of Pixabay.